If you have a water leak in your home, this could turn out to be a disastrous situation. It only takes a small leak to turn into a potentially serious one. One of the problems is that small leaks can go undetected for a lengthy period. During this time, it is causing a lot of damages that not only can be costly but could be hazardous to your health. Going through leak detection Melbourne steps may help you to identify the source. There are some common areas around the home that could be the source of the leak that you can check. It wouldn’t hurt to inspect these common areas routinely even if you don’t suspect a water leak at the moment. You first need to be able to notice the signs that there may be a leak. Keep an eye on your water bill. If you are noticing that it is going up substantially yet you have not increased water usage then there may be a leak. Watch for sewer backup. Observe areas around your home that may be beginning to look or feel different. For example, some areas of the walls are feeling soft or look discoloured. Or you are noticing that the floor in the basement appears to be cracking, or the concrete feels damp. You are beginning to notice a musty odour in an area of the home, or there seems to be moisture under the carpets. These are some potential signs of a water leak. While some of your water pipes may be exposed, there are probably many that are not and are buried in the walls. Trying to find the leak in these areas can be most difficult. Normally a substantial amount of damage will have occurred before you notice this. When this happens, you may need to rely on leak detection Melbourne services to assist you. We become so accustomed to the noises in our house that the sound that a leaky toilet may make may go unnoticed. You can lift the top off the tank of the toilet and listen carefully to see if you hear any noise like a hissing sound. You can also add a few drops of food colouring to the water in the tank. After a few moments, look at the water in the toilet bowl. If you detect any change in the colour of water, then you know water from the tank is seeping through without the toilet being flushed. If you determine, there is a toilet link based on your findings you may need the services of a plumber to fix the problem. While this leak may not be causing any structural damage, it is causing you an increase in water usage, which in turn may be costing you money. This is an item that hardly ever gets looked at unless you are changing the water temperature or having it inspected. Yet it could easily be the source of a small leak, and you are not noticing it. Listen carefully to see if you can hear any water dripping or check the floor area to see if it is damp. While there are lots of pipes running throughout the home, don’t forget that there has to be an external water line running to the house. If you can access this, you can turn off the shut-off valve and then look at your water meter to see if it is still moving. Also, while you are checking the area outside of the home check the outdoor taps and water hoses. See if these are dripping as it may not be creating any sound, but if you haven’t used the hose or outdoor water supply for a day or so, and you see the ground is wet beneath the taps then you know you have a leak. It could be the hose joint or the seal of the tap. Either way, you need to get it fixed. If you have a swimming pool, this also could be the culprit of a small leak that can go undetected. You may be thinking that the water is evaporating, but in fact, it is going down because of a small leak. Some leak sources are more obvious than others. If you notice a crack in the pool shell or the deck may be the source. Then if you use automatic pool filler, this could be the culprit. Once you have checked all of the easy to get at potential sources for your leak, and you have not been successful, your next step should be to call in leak detection Melbourne experts. These professionals have the experience and knowledge to assess the water damage. They have years of experience and have provided leak detection Melbourne services applicable to all styles and structures of homes. In addition, they have state-of-the-art equipment that allows them to source out a water leak without creating a lot of damages trying to detect it. 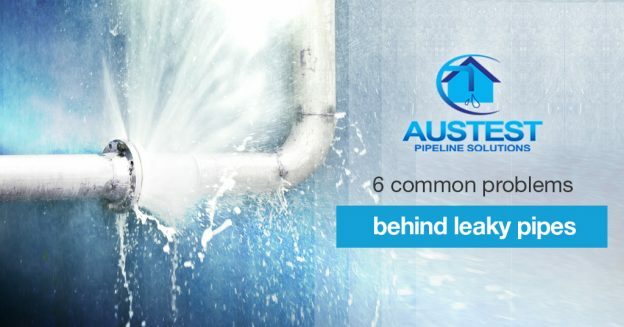 While you may be tempted to find the source of the leak yourself or just leave it until it becomes more apparent, it is important to realize that the small amount you will have to pay for leak detection Melbourne specialists is far less than what the unattended leak could end up costing you. You also need to keep in mind that a water leak could affect the health of you and your family if it begins to allow for the growth of mould and mildew. 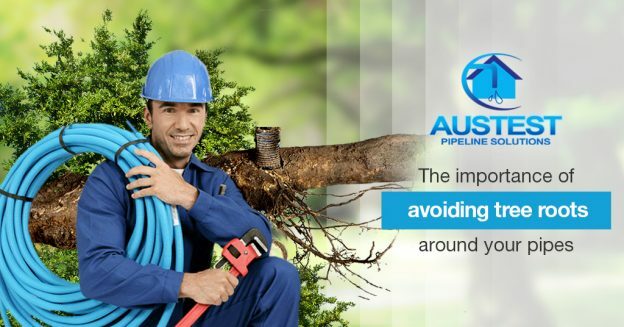 AUSTEST Pipe Solution is registered and licensed plumbers in Melbourne, Australia since 1993. Over 20 years’ experience in domestic, commercial, and industrial areas of plumbing our client base includes the domestic home owner, plumbers, real estate companies, insurance companies, corporate companies, small scale builders, large scale builders and more. Request quote now or Call Corey 0410 609 961. This entry was posted in Blog on January 10, 2016 by austest.